The following is my original manuscript for last night’s Ash Wednesday message. Matthew McConaughey, who won an Oscar this week for Best Actor, gave an incredibly gracious, sweet, and faith-filled acceptance speech. Among other things, he thanked God, saying, saying, “He has graced my life with opportunities that I know are not of my hand or any human hand.” Then he thanked his family in a moving way. Then he said something that was confusing to some people but made perfect sense to me. He said that when he was 15 he was asked by someone who his hero was. He thought about it before answering, “My hero is me… ten years from now.” And that person came back to him ten years later, when he was 25: “So, are you a hero?” and he was like, “No! Not even close! My hero is still me… ten years from now.” So he said that while he’ll never catch up with that hero, he’ll also never stop chasing him. He was saying this: build your life in such a way that ten years from now you will be worthy of being a hero to your younger self. In other words, if the younger version of yourself could see yourself today, would you be a hero to him or her? 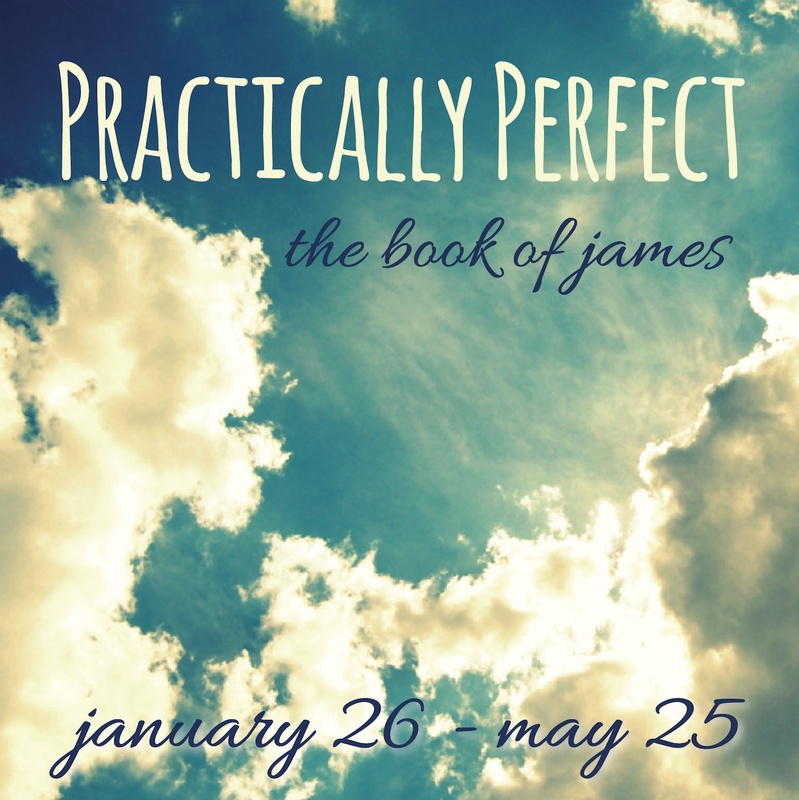 In Part 2 of “Practically Perfect,” our sermon series in James, I talk about “tests” again—except this time about those tests that we fail. The Bible calls these failures sin. 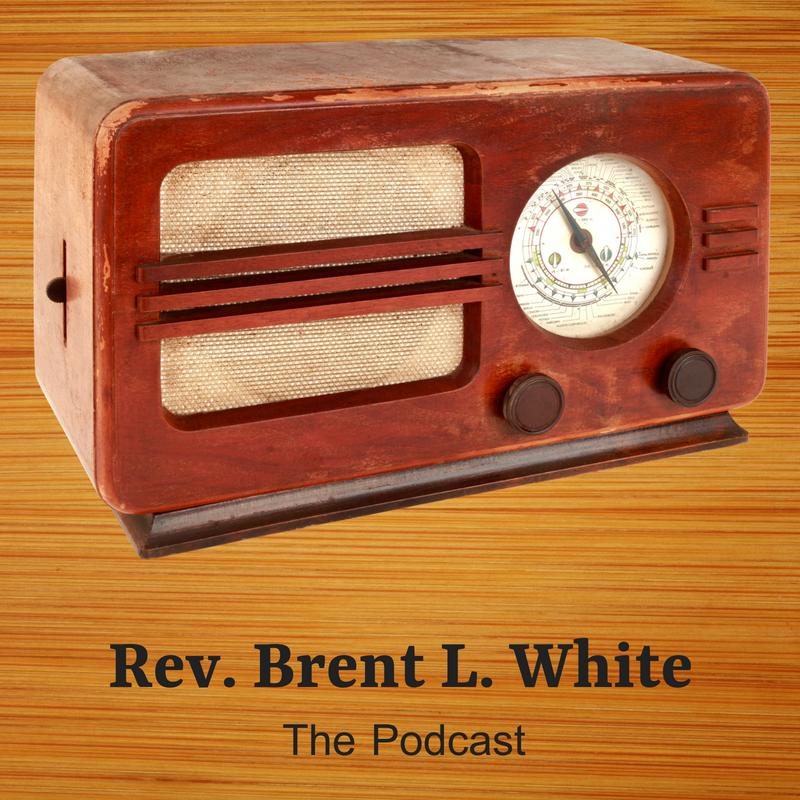 It might seem overly negative, and certainly out of step with our culture, to focus on sin. But if we don’t first hear the “bad news” about sin, we won’t be able to comprehend the good news of Jesus Christ, who came to save us from our sins! About once a month, I have recurring nightmares that have to do with being back in high school or college. These kinds of dreams are very common. Maybe you’ve had them too. One of mine goes something like this: I’m back in college. I signed up for a class at the beginning of the semester that I had no interest in whatsoever. And the truth is, I blew off the class all semester long. I haven’t attended the lectures. And I haven’t done any of the homework. I have no idea what’s going on in the class. And suddenly here it is, the end of the semester: it’s time to take the final exam. And I’m completely unprepared. So much so, in fact, that I don’t even remember what lecture hall or classroom the class meets in. It’s at this point that I wake up and breathe a sigh of relief. Because if I didn’t wake up, I would surely fail the test. Having said that, his legendary peace anthem, “Imagine,” is air-headed mush—I mean lyrically speaking. The song’s melody rules, and since music is more important than words, I’m hardly immune to the song’s virtues. I understand, emotionally, why the song is so well-loved. The song contends that without countries and religions—with the misguided nationalism and fanaticism that sometimes attend to them—we would have nothing to “kill or die for,” which is obviously nonsense. This can be seen with just a tiny bit of reflection. After all, which came first: countries and religion or killing and dying? And now, along comes Christian apologist (and Brit) Francis Spufford to out-do me. Even if I didn’t agree wholeheartedly with the author’s sentiments, I know great writing when I see it. This excerpt comes from this book, which I will now have to purchase. For a piece of famous fluffiness that doesn’t just pretend about what real lives can be like, but moves on into one of the world’s least convincing pretenses about what people themselves are like, consider the teased and coiffed nylon monument that is “Imagine”; surely the My Little Pony of philosophical statements. John and Yoko all in white, John at the white piano, John drifting through the white rooms of a white mansion, and all the while the sweet drivel flowing. Imagine there’s no heaven. Imagine there’s no hell. Imagine all the people living in–hello? Excuse me? 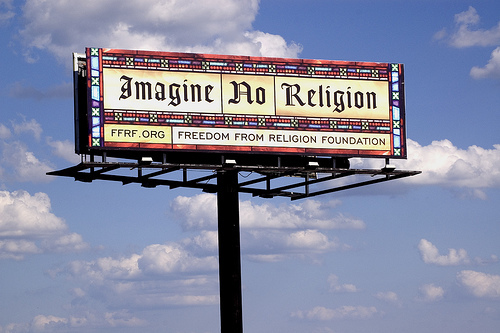 Take religion out of the picture, and everybody spontaneously starts living life in peace? I don’t know about you, but in my experience peace is not the default state of human beings, any more than having an apartment the size of Joey and Chandler’s is. Peace is not the state of being we return to like water running downhill, whenever there’s nothing external to perturb us. Peace between people is an achievement, a state of affairs we put together effortfully in the face of competing interests, and primate dominance dynamics, and our evolved tendency to cease our sympathies at the boundaries of our tribe. Peace within people is made difficult to say the least by the way that we tend to have an actual, you know, emotional life going on, rather than an empty space between our ears with a shaft of dusty sunlight in it, and a lone moth flittering round and round. Peace is not the norm; peace is rare, and when we do manage to institutionalize it in a human society, it’s usually because we’ve been intelligently pessimistic about human proclivities, and found a way to work with the grain of them in a system of intense mutual suspicion like the U.S. Constitution, a document that assumes that absolutely everybody will be corrupt and power-hungry given half a chance. As for the inner version, I’m not at peace all that often, and I doubt you are either. I’m absolutely bloody certain that John Lennon wasn’t. The mouthy Scouse git he was as well as a songwriter of genius, the leatherboy who allegedly kicked his best friend in the head in Hamburg, didn’t go away just because he put on the white suit. What seems to be at work in “Imagine” is the idea—always believed by those who are frightened of themselves—that we’re good underneath, good by nature, and only do bad things because we’ve been forced out of shape by some external force, some malevolent aspect of this world’s power structures. In this case, I suppose, by the education the Christian Brothers were dishing out in 1950s Liverpool, which was strong on kicks and curses and loving descriptions of the tortures of the damned. It’s a theory that isn’t falsifiable, because there always are power structures there to be blamed when people behave badly. Like the theory that markets left to themselves would produce perfectly just outcomes (when markets never are left to themselves) it’s immune to disproof. But, and let me put this as gently as I can, it doesn’t seem terribly likely. We long to believe it because it’s what we lack. We dream of the peace we haven’t got, and to make ourselves look as if we do have it, we dress ourselves up in the iconography of heaven we just announced we were ditching. White robes, the celestial glare of over-exposed film: “Imagine” looks like one part A Matter of Life and Death to one part Hymns Ancient and Modern. Only sillier. To be a fly on the wall when this jam session was happening! In yesterday’s final Beatles-themed sermon, which featured the song “Revolution,” I discussed John Lennon’s pessimism about changing the world for the better, while nevertheless maintaining that “it’s gonna be all right.” The world is going to be all right, I said—more than Lennon knows. But it won’t be all right because of what we humans do; it will be all right because of what God will do in God’s act of new creation on the other side of resurrection. On this point Lennon and I are in complete agreement. To use theological jargon, my outlook on politics is thoroughly eschatological: God will take care of the human race regardless what happens politically. That doesn’t mean Christians should become Amish about political involvement; only that their stance toward politics should be cautious and skeptical and rightly focused on the Big Picture of God’s kingdom. This is why I’m less interested in politics than some of my friends want me to be. † Ian MacDonald, Revolution in the Head: The Beatles Records and the Sixties (Chicago: Chicago Review Press, 2005), 285. What a great single this was! “Revolution” was controversial when it was released in 1968. In an era in which many young people believed they could make the world a better place, this song was a wet blanket: “Well, you know, we all want to change the world,” John Lennon sang. But show me the plan first. How do you know your efforts won’t end up making things worse? “If you talk about destruction,” count me out. Also, don’t ask me to support causes whose leaders have “minds that hate”—like Chairman Mao, for instance. Violent means don’t justify supposedly peaceful ends. Easier said than done, I guess! In fact, both “freeing your mind” and creating a world in which love, peace, and justice hold sway—a desire that the Beatles often sang about—is impossible apart from a radical and miraculous intervention from God. But I’ll say more about that this Sunday. 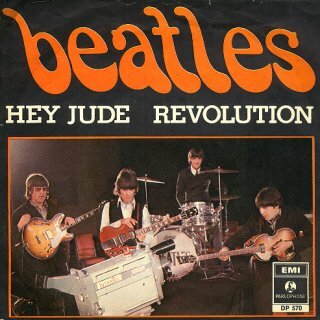 Here’s the White Album version, “Revolution 1.” A more aggressive version was later recorded and released as a single. † Steve Turner, A Hard Day’s Write (New York: It Books, 2005), 169. Is “daytime, nighttime suffering” really all she gets? The great B-side to the Wings’ hit “Goodnight Tonight.” If you were Paul, wouldn’t you save a song this good for an album? 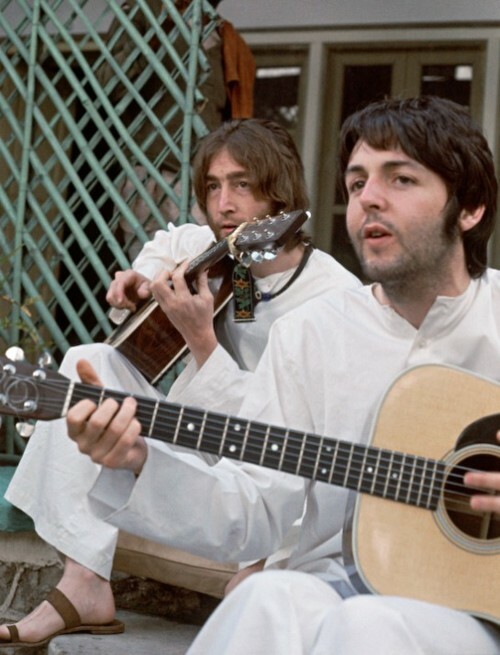 This Sunday, however—Mother’s Day—the two featured Beatles songs both represent the work of Paul: “Lady Madonna” and “Your Mother Should Know.” Sorry. John wasn’t much for domesticity back then. His bittersweet “Julia” was written to his deceased mother, but the lyrics are vague. He could be singing about any lost love. John saved his best motherhood song for the devastatingly sad “Mother,” from the Plastic Ono Band album. But Paul also wrote and recorded his best motherhood song after the Beatles split: “Daytime Nighttime Suffering,” the B-side to his 1979 hit “Goodnight Tonight.” I promise I would have the Vinebranch Band perform this song if it were in keeping with the series theme! “Daytime Nighttime Suffering” is “Lady Madonna” without a sense of whimsy. Like the Beatles song, McCartney says that motherhood is incredibly difficult—except there is no “music playing in your head” to ease the pain of regret, failure, and distress. Daytime, nighttime suffering is all she gets? Nice reference to “damsels in distress”: McCartney goes on to say that motherhood is “no fairytale anymore.” It’s a strangely pessimistic song, not only for Paul the family-man, but for the exuberant melody and vocal arrangement—surely one of his sunniest and best. Maybe he’s communicating through the music that motherhood isn’t as bad as it seems? There is hope. What these mothers need, McCartney says, is for people—well, including fathers like himself—to give them all the love and compassion they deserve. The singer asks the “mighty river” of love to flow through him. The river in this case is likely a metaphor for God: pour out your love on these women who suffer for their children. Pour out your love through me—a fitting prayer for any occasion. This is easily one of my favorite McCartney songs. Wikipedia even tells me it’s one of Paul’s as well. For mothers everywhere, here it is. Enjoy! 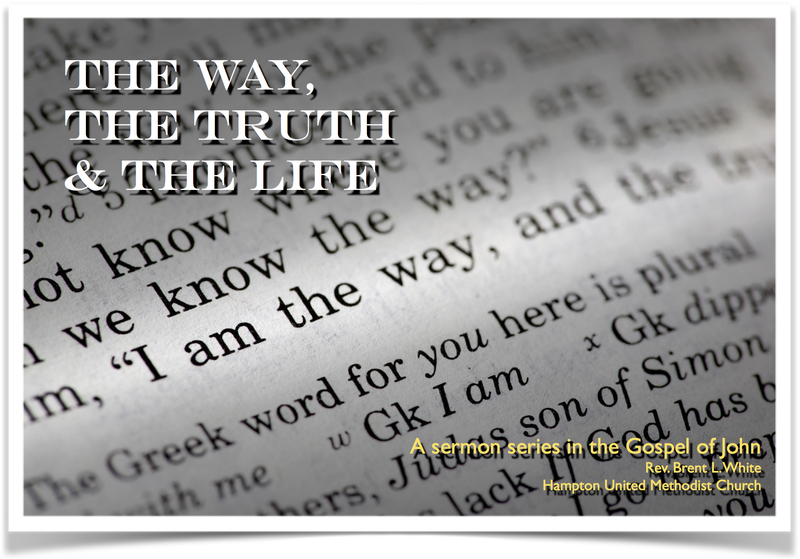 I intended last Sunday’s sermon to speak, in part, to high school seniors and other young people who would soon be making a transition in their lives—leaving home, going to college, going into service, beginning a new career. As such, I assumed the sermon would have a valedictory tone. After all, Paul’s words in Acts 20:17-27, the scripture I chose a couple of months ago, are literally part of a farewell speech to elders in the church at Ephesus, a church with whom he had ministered for two years. Little did I suspect when I chose that scripture that I would also be be making a transition—and that it would be announced on the very Sunday I was preaching this text. As a United Methodist elder, I’m “itinerant”: each year I either get reappointed to my present church, or I get appointed elsewhere. It’s always a year-to-year contract. 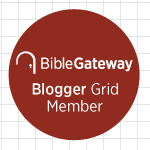 I’ve been an associate pastor for six years, which is a long time in the Methodist system. So in June, I’m leaving Alpharetta to pastor a church of my own. I’m sure the word “bittersweet” was made for such an occasion. As I said in my sermon, I know I’m ready for this new opportunity. I know it’s a good career move. And, most importantly, I know the Lord has good work for me to do down in Hampton, Georgia, where I’m headed. I know all this in my head—it’s my heart that still needs convincing. But it’ll catch up soon enough. Some forever not for better. Pass the Kleenex, please! I read somewhere that this was the first pop song that dealt so candidly with mortality and loss. It was certainly the first Beatles song to do so. Regardless, by the second verse, it becomes more a love song than a reminiscence. There is no one compares with you. I know I’ll often stop and think about them. In a way, isn’t this what happens to us when we enter into a saving relationship with God through Jesus Christ? It changes everything—the way we understand the world, our values, our relationships, our choices. Once we experience Love Himself, the God-who-is-love, we see all other loves in relationship to the absolute. As the song indicates, human love can only pale by comparison. Not that John Lennon necessarily had God’s love in mind when he wrote the song. He was likely confusing the “God who is love” with the “Love who is god,” a common mistake in pop songs and pop culture. But he wasn’t too far off, so I give him credit. So I’ll never lose affection for you—for your love, your prayers, your patience, and your forgiveness. I love you… and nothing changes that—certainly not moving away or changing churches. But I love God more. And this move is the difficult sort of thing that I have to do because I love God more. My point was that sometimes all of us Christians have to make painful, heartbreaking choices because we love God more than anything or anyone else. Jesus himself makes the same point, through hyperbole, when he says that unless we hate father and mother, wife and children, brothers and sisters, even our own lives, we cannot be his disciples. Leaving all these people I love at AFUMC is at least one small example of what Jesus is talking about. Otherwise, in my life, I almost never have to choose. 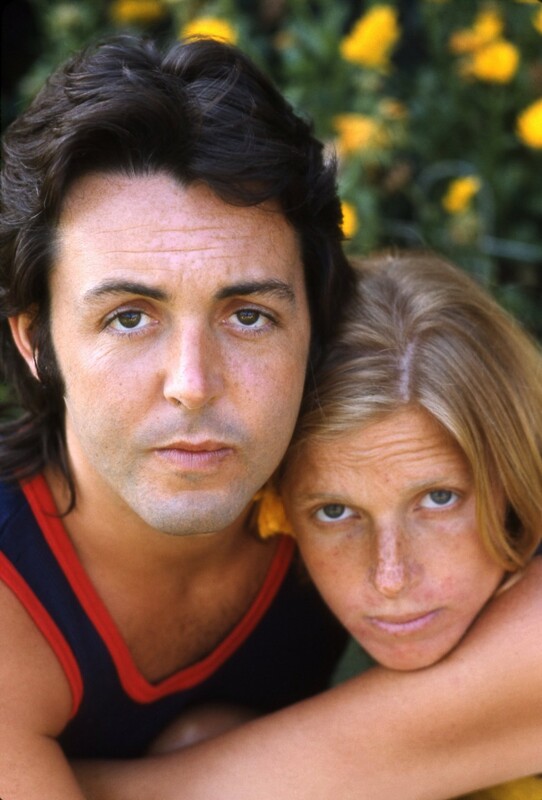 Paul and Linda McCartney, circa 1970. Paul’s decision to include Linda—not previously a musician—in his new band Wings was deeply unpopular with both fans and music press. On the other hand, the two never spent a night apart (except for the nine days he spent in a Japanese prison in 1980). We understand that Christ-like love is self-giving and self-sacrificial when it applies to loving our neighbor “out there”—in the mission field. But when we marry, we now have a neighbor who lives under our roof and sleeps beside us. We have a neighbor who manages the household with us, raises kids with us, and makes a life with us. So now that we’re married to our neighbor, it suddenly matters a great deal how we feel? It matters what we’re getting out of the relationship? Isn’t this a double-standard? As I discuss in this sermon on love and marriage, happiness in marriage is important, but there is no path to happiness in any part of life that doesn’t lead us up a mountain called Calvary. I’m a fan of the public radio show This American Life with Ira Glass. Each week the show features a theme, and they have a series of real-life stories related to the theme. Last Valentine’s Day their theme was “people going to extremes to find and pursue their one true love.” One of the stories featured a 30-year-old man named Kurt.